The reCAPTCHA field is available in every version of Profile Builder and it can be used to protect your forms against spam user registrations. In order for this field to work you will need to generate the keys for it on the Google reCAPTCHA website. 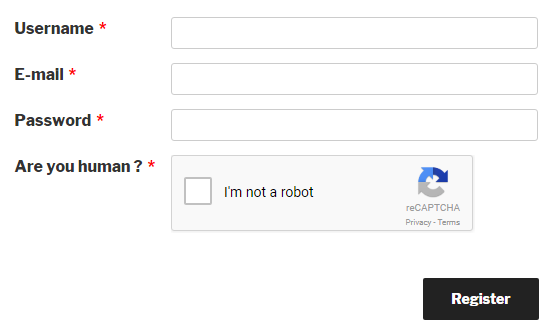 The type of credentials you generate depends on the type of reCAPTCHA you want to use. 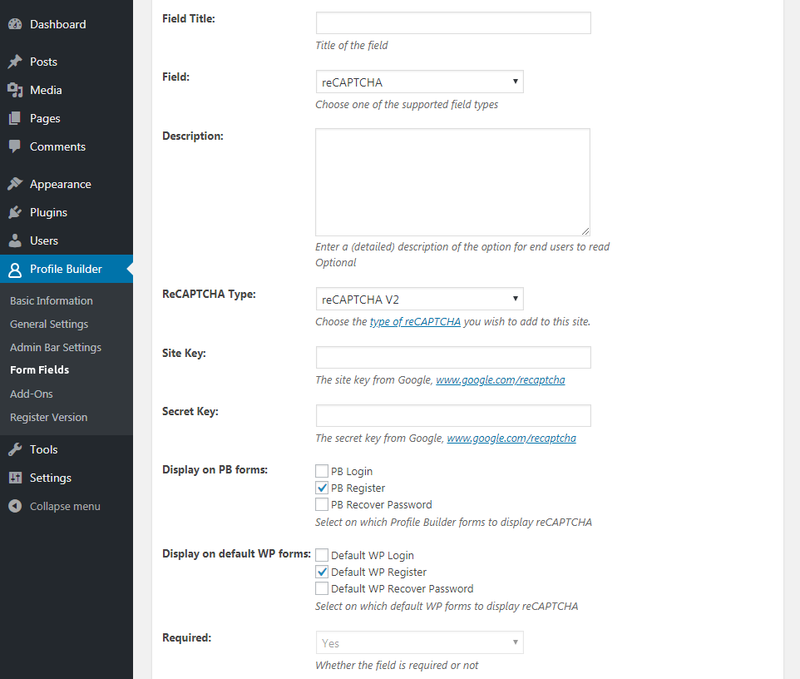 We offer the reCAPTCHA v2 and Invisible reCAPTCHA implementations. You can also edit the field title (will be shown only if reCAPTCHA v2 is selected) and choose where the field should appear. This field can be added to the login, register and recover password forms created with our shortcodes and also to the default WordPress forms.